April is "volunteer appreciation" month. Last week, the ED of a nonprofit gave whoopie pies to each of us on the board. In presenting them, she said, "April is volunteer appreciation month. So each year we do something to say 'thank you' to each of you on the board. But rather than chocolates, this year I thought we'd give whoopie pies." 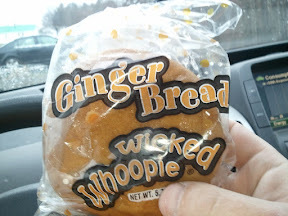 As I choose my gingerbread whoopie pie*, I remembered that she did indeed thank us each April. And I started remembering the other times I'd been thanked as a board member for this organization. This small act of kindness had a much bigger impact than I'd expected. How are you thanking board members? 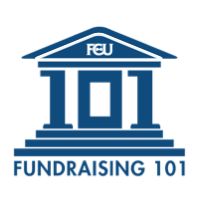 While you might take silence from board members as "no news is good news," they may really be drifting away from you and your cause. Granted, some you might not mind to lose, but you not all of them! give them a quick phone call with no other agenda than to say "thank you"
April's not over. Why not reach out this week and say "thanks"? It's so easy to overlook board members when we think about volunteer appreciation. Thanks for this great reminder! Marc, I've received promotional gift cards from Chick-Fil-A that didn't cost the organization anything. You get something like "free chicken minis with purchase of soft drink." I love them and everyone wins! Betsy, I was just in Georgia and had a Chick-Fil-A sandwich. WOW. Those were great! I remember when I served on the board of the Rhode Island Council for the Humanities. At each board meeting (quarterly) staff had a tiny gift, a token of their appreciation for us. Sometimes it was a quote tied to a chocolate lollipop. Or an herb seedling. Even though I kept thinking how much time these small things took to do and feeling guilty about them, the gesture was lovely and made me feel very appreciated. I like that you said they were "small." We definitely don't want to get the impression that our gifts are funding the gifts we're getting back! Marc, even though April is over, it is clear that saying thank you all year long is very important. And my vote goes to food! It is a great way to show appreciation for all occasions.